My “beloved” future university is being too nice to me. Maybe they found me not tough enough, wants to train me to be a stronger and better person before flying there. Ms Ann (the Admin staff of School of Medicine in the University of Leeds) is on leave. FYI, she has been on leave for >7 times within these few months ever since I started contacting her early this year. And now, she is on long annual leave again. So sial this is the critical interval when I was supposed to get my CAS certificate, which is crucial for my VISA application. People already started applying, me still sitting here waiting like an idiot. 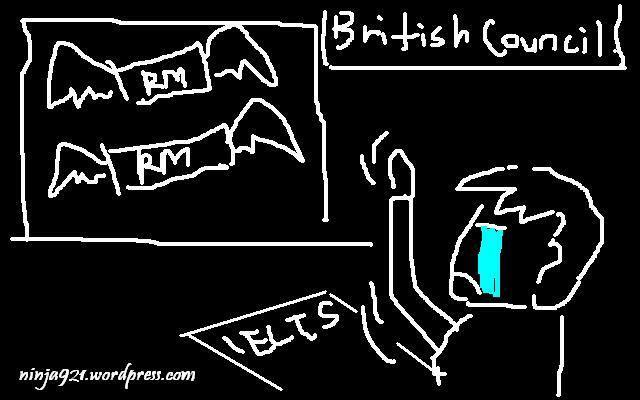 What makes it worse is, the other admin staff Mrs Sheila, who is not so friendly, told me to retake IELTS as mine was taken more than 2 years ago. I was confused, as I was told by Ms Ann that she had received all our documents and now what we need to do is to wait for the CAS certificate to be issued, which was supposed to be done by now. And she told me to send my old IELTS result despite the fact that it was >2 year-old. Oh yea, going to apply for Certificate of Good conduct too!